£4.99 (from JC Unique) for a pair of stitch and faux-fur gloves! 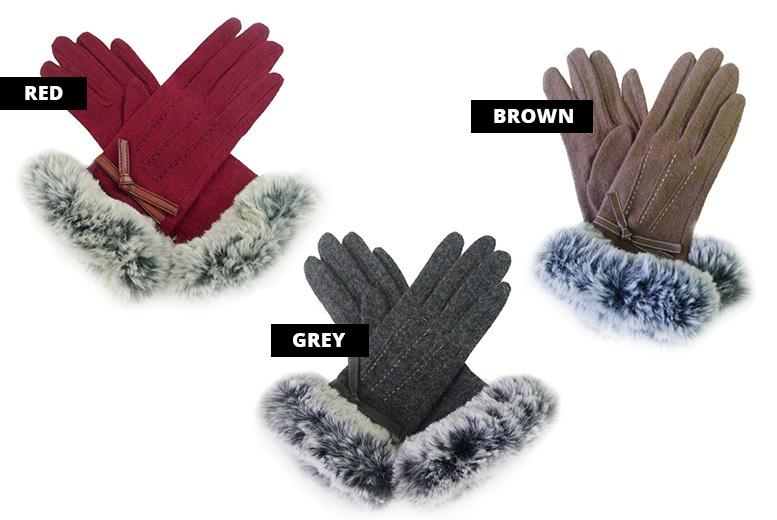 Get a pair of stitch and faux-fur gloves. Made of wool for comfy and elegant feel. Dimensions: 25cm x 10cm x 2cm. Choose your colour between brown, grey and red. Perfect way of keeping your hands warm while staying stylish.